Wow… throw a 3D printed case on that thing and you’ll have a polished, piece of recording equipment. Using the touchscreen sounds nice, but a physical button would be my preference. Either way – nice job Wayne! Great project! Perfect for a car camera! Great project….if your using raspivid, how will you overcome the 2GB file size limit ? https://youtu.be/PSrzbeVX8DE This is a demo of the Air Drum option of my sonic-track.py computer vision motion tracking programming project. 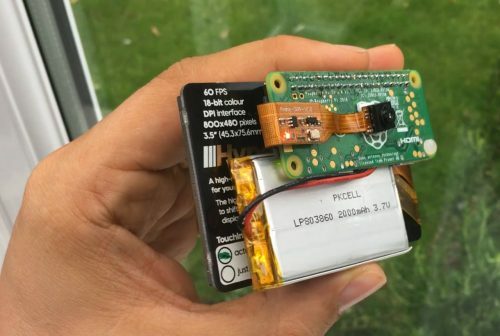 It uses a usb or pi-camera to track motion and processes data and sends to sonic-pi. It can run on a console without accessing the GUI desktop. You can also play notes and change settings via motion activated menus. The project is available on github. i just don’t understand what soft you use for recording the video, do you use Picamera ? 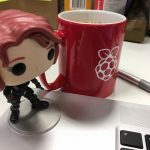 A pure Python interface for the camera module: meet picamera!